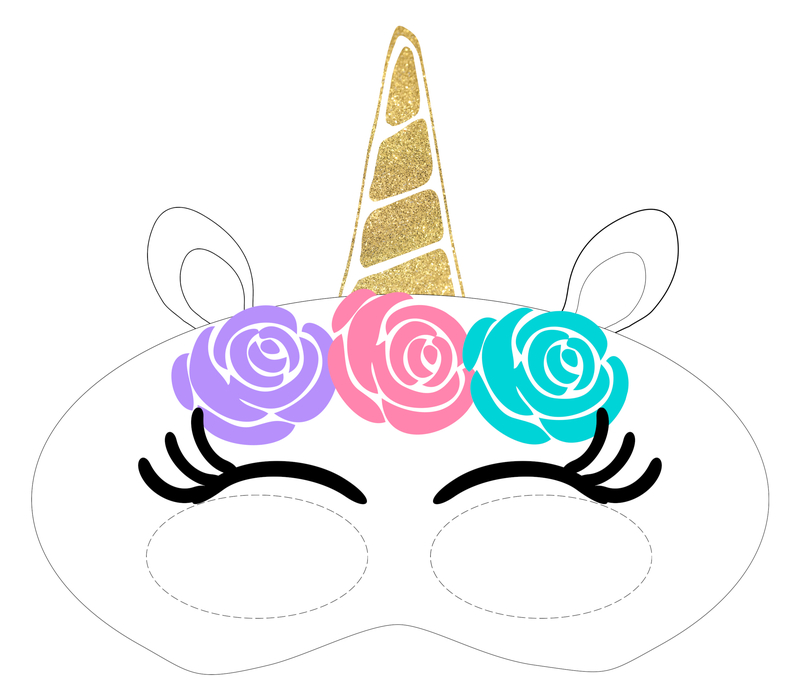 Use this free printable unicorn mask for a fun easy DIY birthday party activity or just for a fun activity to do with your unicorn obsessed kid. 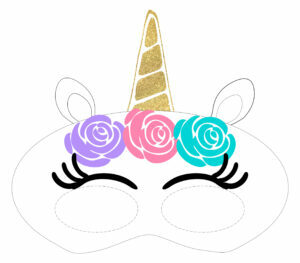 If you want to make things even more simple to plan you can order these inexpensive unicorn masks from Amazon. See all of the matching unicorn printables we have below. 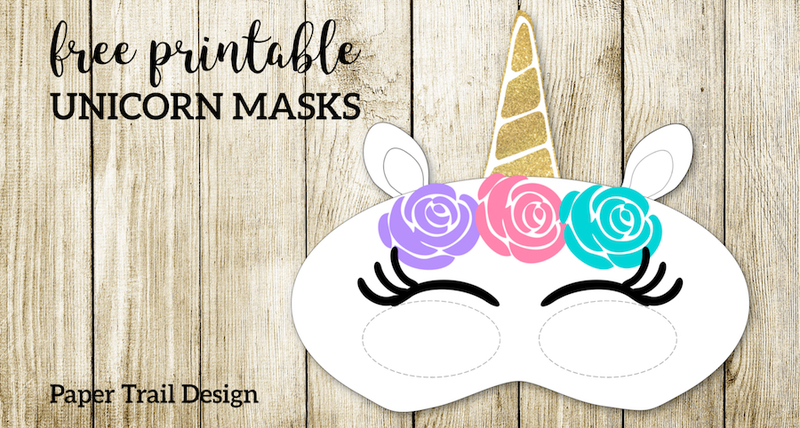 Don’t forget to check out PicMonkey a free trial of their website and you can easily customize these free printable unicorn masks. If you want a little more guidance then check out our tutorial on how to use picmonkey. 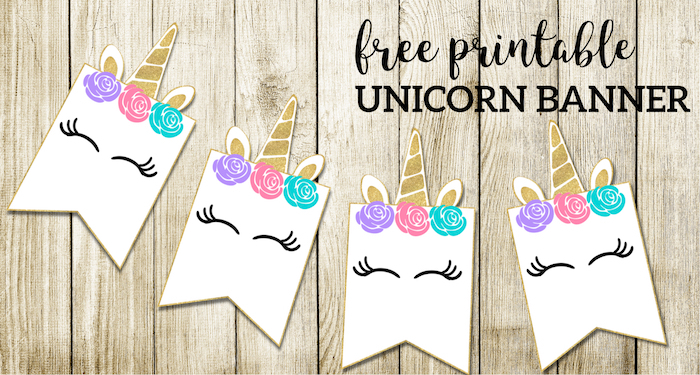 Use this unicorn banner printable for some easy and cute decor for your party. 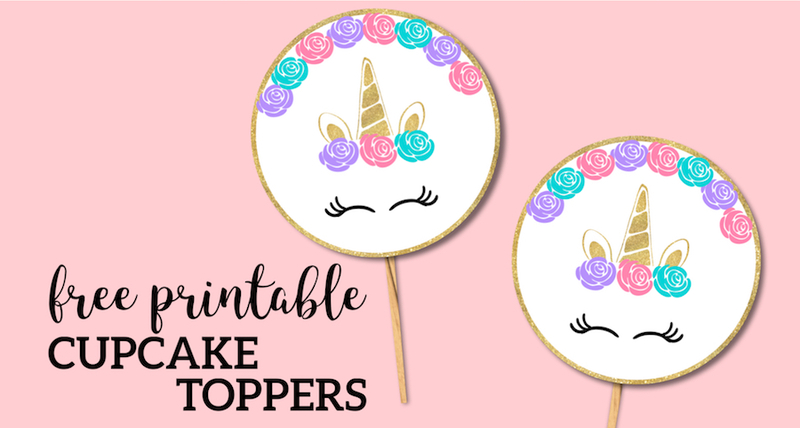 These unicorn cupcake toppers are a cheap easy and cute way to decorate cupcakes for your party. 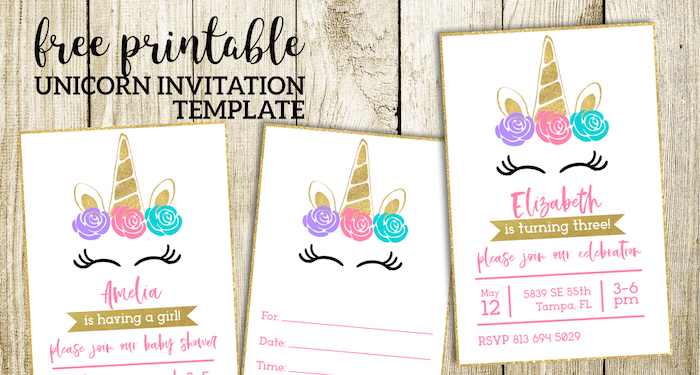 Use these cute unicorn invitation templates to invite your friends to the party. 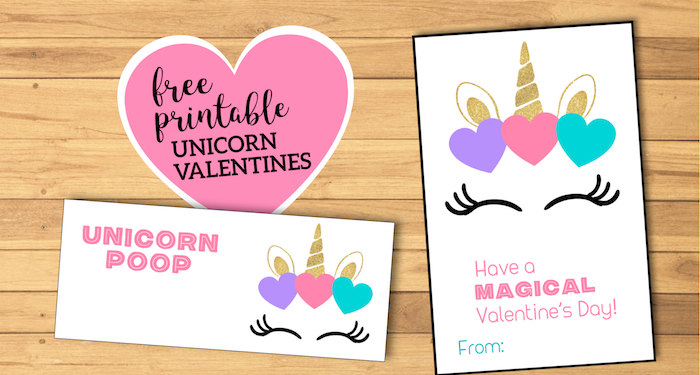 These unicorn poop printables were made with Valentine’s Day in mind but they would be great for a fun party favor. Just attach some candy or marshmallows.